Renovation projects to improve the energy performance of residential buildings involve a lot of messy construction work. Researchers have come up with a new modernization concept that reduces on-site installation times. 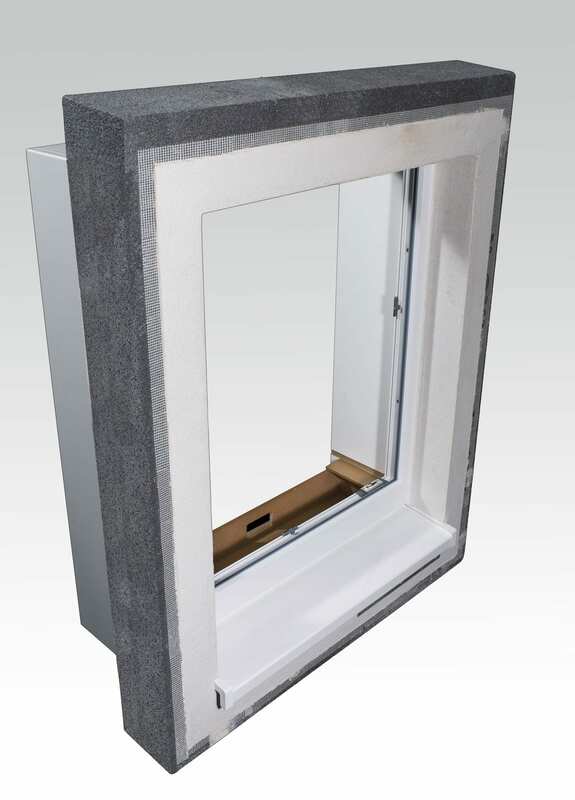 Prefabricated multifunctional window modules offer a more convenient alternative to the usual renovation methods. Surgeons commonly use minimally invasive techniques when operating in the abdomen. Instruments are inserted through a tiny incision in the abdominal wall, and the organs are visualized using an endoscope. This method is less stressful on the body than conventional surgery. A form of “minimally invasive intervention” could also be adopted by architects and builders, except that in this case the patients are buildings in need of upgrading to modern energy-efficiency standards. “The minimally invasive approach can be applied to the renovation of buildings, enabling their energy efficiency to be improved with a minimum of messy construction work,” says Michael Krause, a scientist at the Fraunhofer Institute for Building Physics IBP in Kassel. He and his research team have developed a system of multifunctional window modules that could be used as an alternative to the usual renovation methods that cause so much inconvenience to the building’s inhabitants. The “Prefab” project is funded by the German Federal Ministry of Economics and Technology (BMWi).